“Where else would a boy from Birmingham start his working life but in an iron foundry? 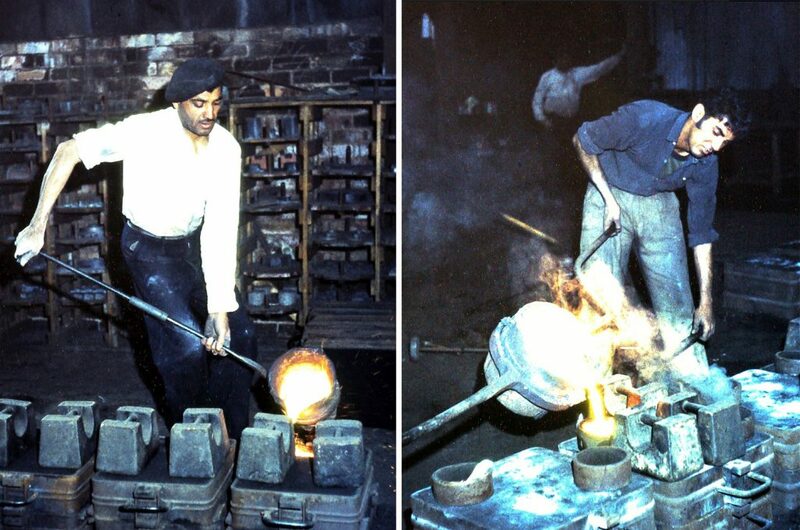 It’s fifty years ago when I started my first full-time job at Rood End Foundry in Oldbury in the Black Country. Iron founding is hot, noisy, dirty and dangerous. 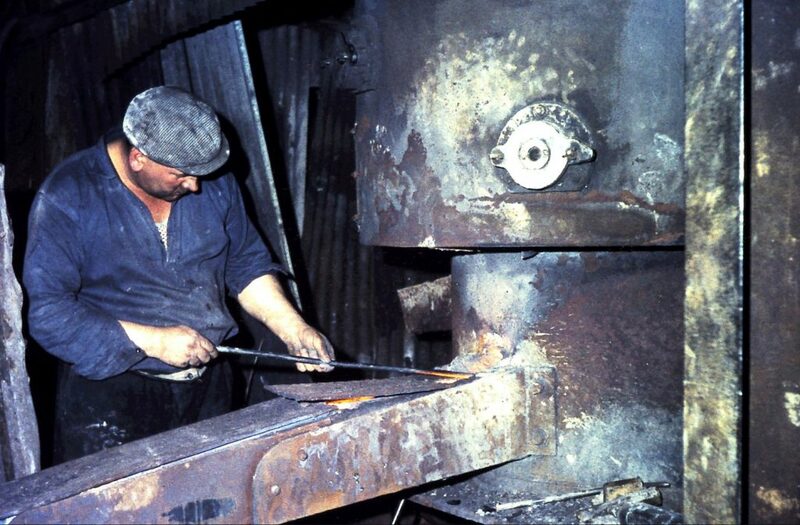 And the worst job in a foundry is repairing the lining of the furnace where the iron is melted. Every morning at 8 o’clock you climb up inside the cupola – that’s the furnace – where it had been 1500 degrees Celsius the day before. The cupola is a vertical steel cylinder that squats a metre off the ground on four short steel pillars. Ten metres tall, it is lined with fire bricks 20–30 centimetres thick, leaving a hollow shaft up the middle like a well 50 centimetres across. 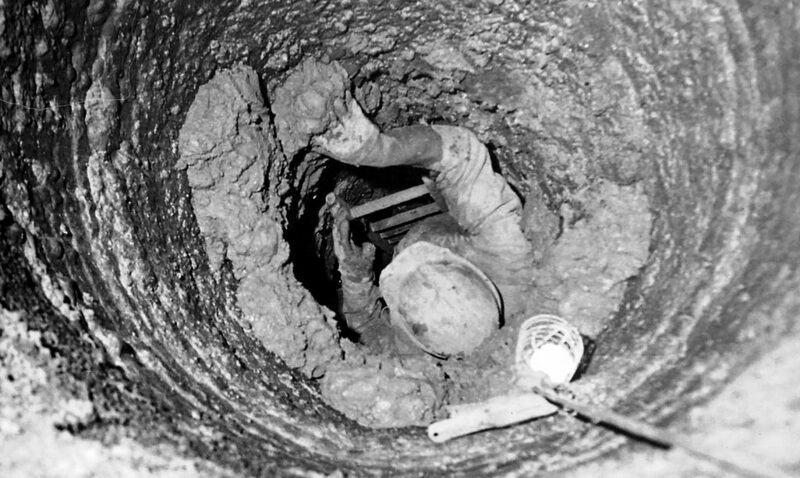 You have to crawl in from the bottom and climb two metres up into that well to repair the lining. There is barely enough room for a big man to fit into the well. It’s difficult to bend your knees to climb the ladder. You can’t stick your elbows out to work until the shaft widens slightly in the melting zone two metres up. The firebrick lining holds the heat from the previous day’s melt so it’s like being in an oven, and that heat causes a tremendous up-draft carrying dust, grit and fumes that make it hard to breathe. First, you chisel off the lumps of solidified slag from the walls, then you plaster the eroded spots with ganister – a special kind of fire clay. Your buddy outside has a wheel-barrow full of the stuff. He forms a big dollop into a ball and shoves it up the well as far he can reach with you inside – hopefully near your crotch where you can just reach it without bending - you can’t bend, there’s not enough room. Then you work the ball of ganister up your body until it reaches the slightly wider melting zone level with your chest. Now you can get your arms up and plaster the walls of the well. Then you grab another dollop. The black and white photo gives you a bit of an idea. To take it, I crawled in through the charging hole one floor up and pointed the camera down the shaft of the furnace. You can see the top of Sam’s head as he patches the lining. Earlier, that was me down there. I’ve kept that photo near me through every job I’ve ever had since then; all through teaching, as a speechwriter, policy adviser, public servant, consultant and writer. It’s next to my computer now as I type. Whenever work threatened to get a bit overwhelming or colleagues were being awkward, I would look at that photo and remember that things could be a whole lot worse, and some people have to put up with much more difficult situations throughout their whole working life. In the other photo, you can see Big Joe Winston standing at the bottom of the cupola. 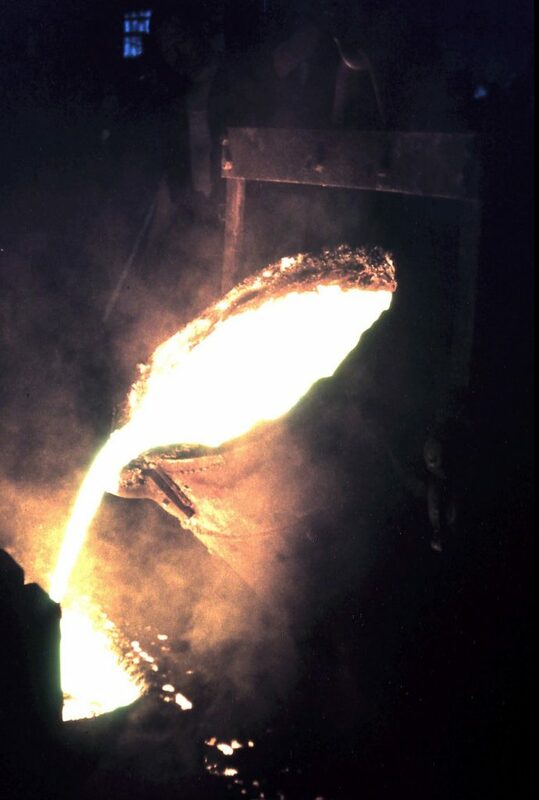 He is holding a steel rod (a ‘bott stick’) to chip out the plug that releases the flow of molten metal. He offered to teach me how to do it; he’d been doing it for years. But I passed on that one – make a mistake and people can get killed. 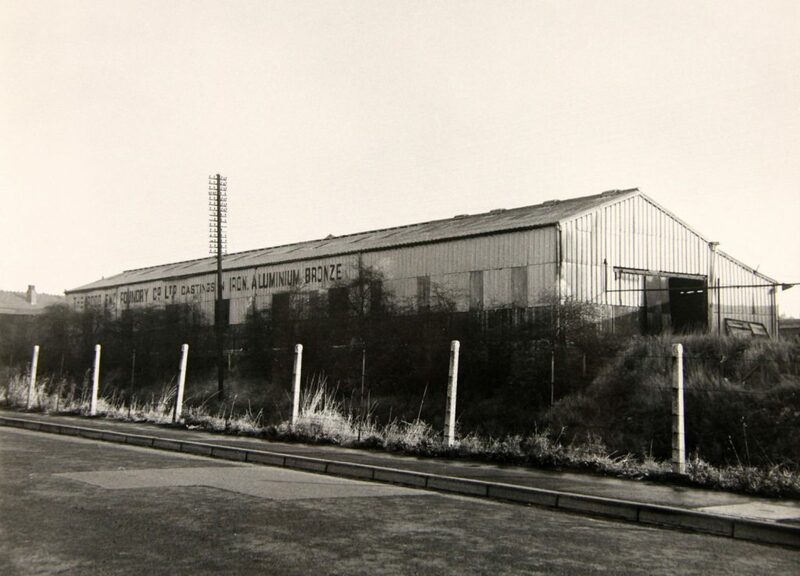 Rood End Factory, view from the driveway off Giles Road, Borough Engineers Department, 1973 (Sandwell Archives). 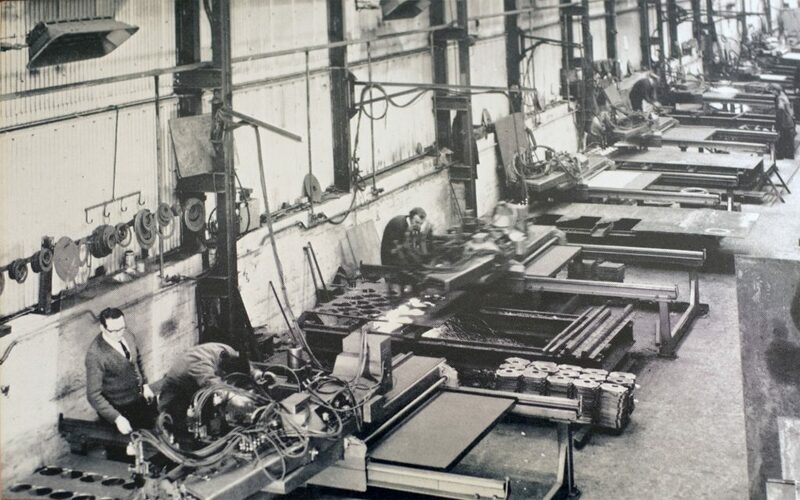 Rood End Factory, Tat Bank Road, Borough Engineers Department, 1973 (Sandwell Archives). 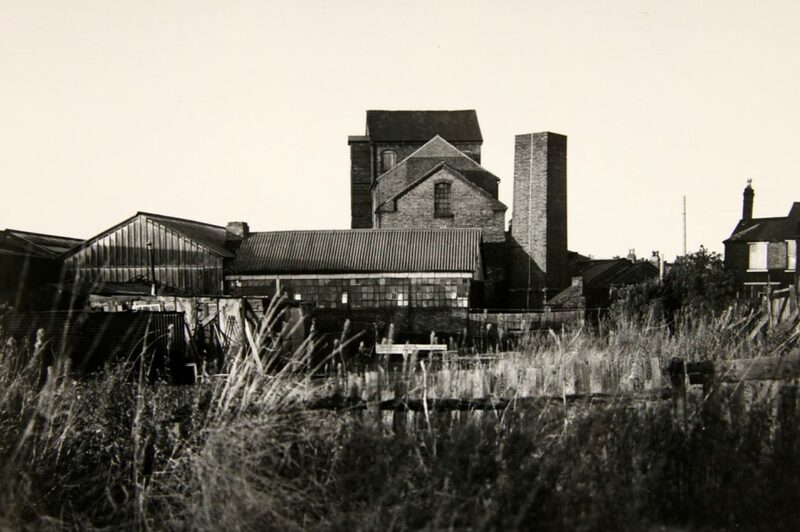 Rood End Foundry in 1968, remembered by Ian Short.